Are you moving to be closer to your job? Have you found your dream home? Do you need to be in a better school district? 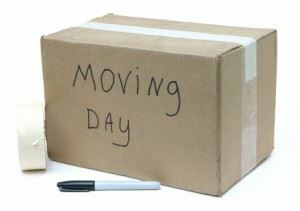 There are many reasons why people choose to move but one thing they all have in common is that a move can be very stressful. Putting some of these tips into practice can help your next move go very smoothly. You will need to label all of your boxes so that you know the contents and where they belong. You can help the movers by coordinating your boxes with colored tape. One color for the kitchen, one for bathroom, one for living room etc. It makes it much easier to spot and sort the boxes that way. Movers are very specific about their work. Typically, the special clauses they have in contracts are more about protecting themselves from getting sued than anything else. That is why you might see clauses such as not moving things in garbage bags. That could force you to buy boxes off their truck at the last minute at a hefty price. If you’re moving into a new apartment, then you definitely want to take “before” photos of the empty space. Take detailed pictures of any area that is damaged. That way you will be held responsible for it when you move out again. After you leave your old space, you should take photos of that as well to document how clean you left it. That will help you get back your security deposit. You don’t want to miss out on any mail. That is why you should change your address two weeks before you make the move. This will give the post office plan time to catch up with you. This is also the time when you should switch over utilities and schedule installation of cable or telephone lines at your new place. The day you turn in your notice is the same day you should book your movers. This is especially true during the summer, which happens to be the very popular moving time. It’s even worse in the fall when everyone is going back to school. After sorting through all the things that you’re packing up you may discover there’s a lot that you can get rid of. There’s no reason you should bring this stuff with you to clutter up your new space. Instead, turn it all over to Junk King Columbus. One call to these junk removal pros will have your entire space cleared out of all your unwanted rubbish in no time at all. Let Junk King Columbus help you take the stress out of your next move. This entry was posted in columbus junk removal and tagged clutter, junk king columbus, next move, rubbish on June 26, 2017 by Junk King. Last updated June 26, 2017 .